Texas Freckles: My cheater print. 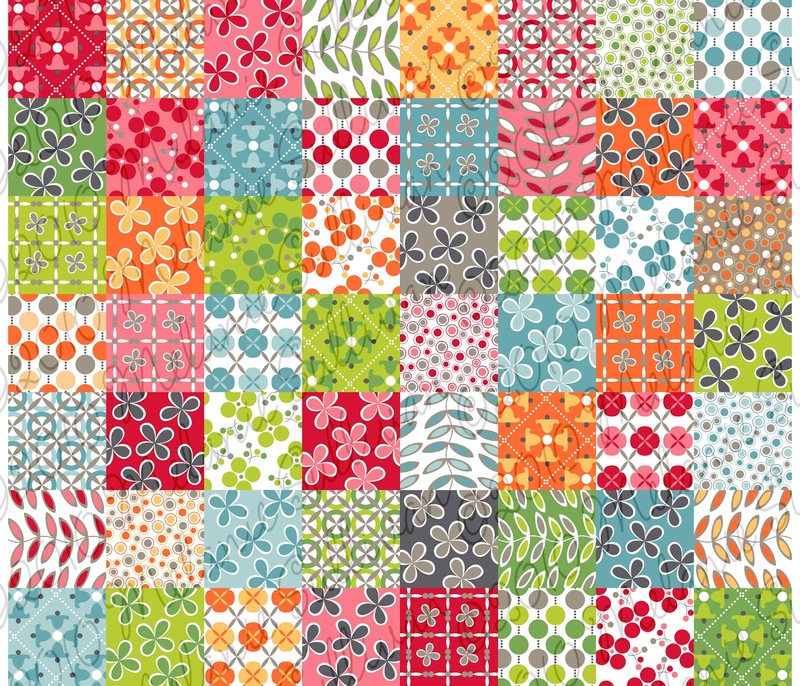 I just finished a digital fabric design which I'm planning to enter in Spoonflower's contest next week. I'm not new to fabric design, but I am new to digital printing. The fabrics I design for work are screen printed in China on huge rotary drum printers. I have to pay close attention to repeat dimensions, screen registration, color separations, and lots of other fun technical stuff. With digital printing, much of the technical stuff is irrelevant. You still need a nice repeat, but you aren't locked into the size of the rotary drum and there are no screens which means colors are almost limitless. Anyway, when I saw that Spoonflower's contest next week is cheater prints, I figured this was a great time for me to try out Spoonflower's service. This cheater print serves two purposes. 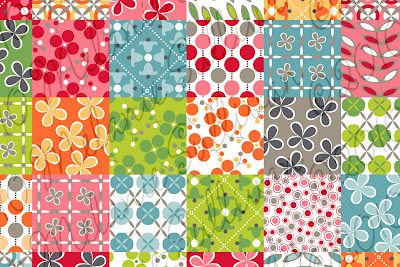 One, I think it's adorable and I would love to make a quilt out of this fabric. Two, those squares are 2.5". So, each fat quarter yields 56 unique prints. Yes, that's 56 one inch hexagons with no repeats! You've got my vote! I love cheater prints and this one is fabulous! If its going up for sale I would sooooo buy it!!! It's great! I absolutely love it!! I have never seen a cheater print (only on your blog-when you posted the Japanese fabric). Will you be designing fabric for such a thing? Sorry for my ignorance, I am a bit new to this. :o) Love love love the colors and patterns in your post!! Very cool - and a great way to get some more unique hexagons! I would SO TOTALLY BUY this! :) Love it! Beautiful - I'm almost having palpatations thinking about all those hexagons!! Ahhhh, very cool. It has the "flavor" of a line I love but not so literal as to encroach! I would totally buy it even though I have promised myself to stick to my or others scraps..... wow, this is good enough to break a promsie for! I'll vote for you for sure! All I can say is I want some! Beautiful!!! Love it!!! Want it!!! Excuse my ignorance, and I understand if you don't have time to answer, but I'm new to quilting - have been reading this term "cheater print" and I'm not sure what it is! Please clarify - maybe I'm not alone in my wonderingness. It is beautiful, that's for sure! Hi, Jodi! 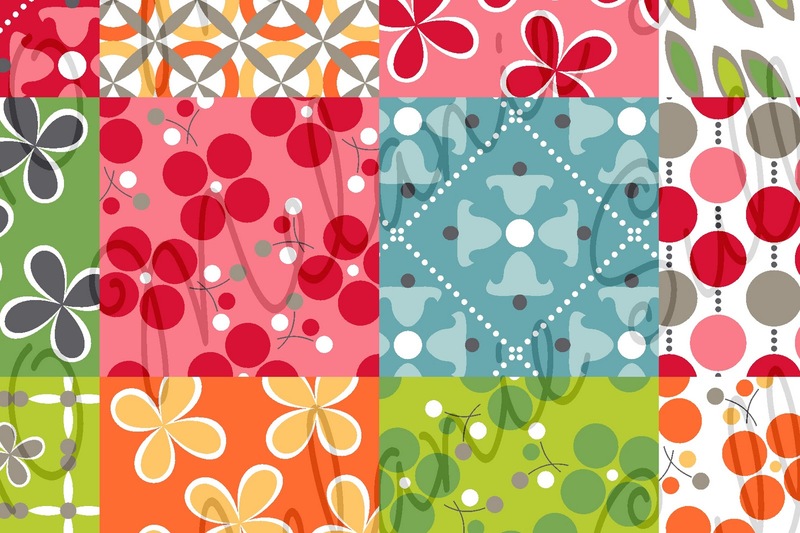 A cheater print is one fabric that looks like it is made of several fabrics sewn together. They are called "cheater prints" because you could just quilt it (or tie it, etc.) and it might look like you sewed multiple fabrics together, which would be "cheating". They were quite popular in the 70's. You have my vote because I would definitely order this fabric. The colors and designs are just perfect. And since I am recently hooked on 1 inch hexes thanks to you, it is only fitting that I would make some out of this great fabric if it were available! That's gorgeous, I've never bought from spoonflower but I'd buy that. Well done! That's a great design and I love the colors. Can't wait to see the printed fabric. It is just absolutely gorgeous!! You did a fantastic job with it. The color and design are fabulous. You can count on my vote. It's beautiful and fresh and very modern...I love it!! 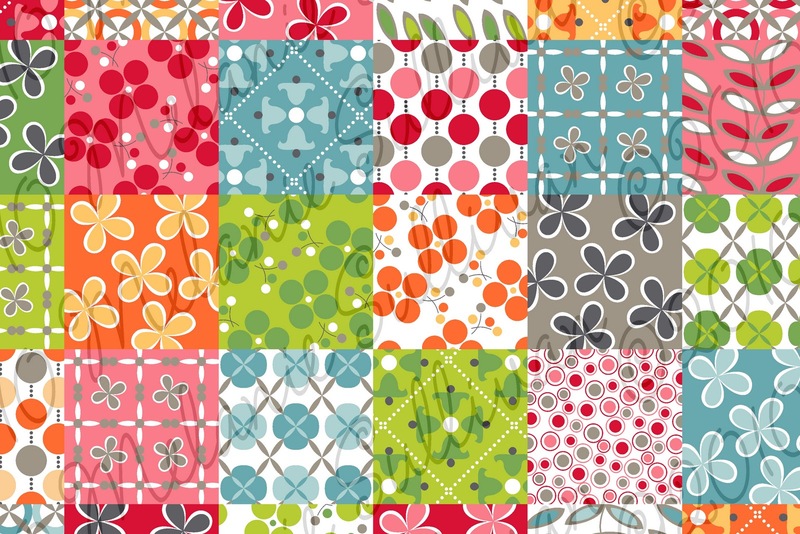 I think that it's great fabric - fun and colorful - and would make excellent hexagons!! You'll have my vote. I LOVE this!!! Great job. Love, love, love it! I would buy it! You would have my vote. So inspiring! Adorable!!!! LOVE LOVE LOVE it! I'll vote for ya!!! Just let me know when and I will be there. Really cute cheater - that I would totally buy - who wouldn't vote for that!! I LOVE IT! I would especially love some of those on their own. Would we recognize any of your other prints? Melanie! Can we order a FQ off you? I LOVE it and will definitely send a vote your way! A-Dorable!!! I'll be happy to vote next week. Love it! I would vote for it and buy it! Love your cheater print! I'd so purchase this! So cute! I'll definitely be voting for you! The colors and scale are terrific! Clever you, designing for yourself AND for the hexie fans everywhere. I want some! =) This is fabulous--you'll have my vote. I hope that you decide to sell some of this goodness! And defintely not too close to the original--just close enough to be fab! You have my vote too! When can I get some for myself?! I absolutely love it!! The idea of custom cheater prints for your hexagon making is wonderful! I love this!! I can't wait to see it printed. You have my vote!!! We need to get together soon for fabric shopping and tacos. I have been itching to buy some fabric! I think this is my favorite cheater fabric ever. Please let us know when we can vote! I would vote for and buy your fabric. I might even start doing those little hexies! I finished 1600 yo-yo's for my neice's wedding quilt in three months but that was in March so maybe I'm ready for the hexies now. Let us know when to vote. It's a great print - I'd love to buy it from Spoonflower! In the meantime I'll definitely vote. It's gorgeous! I will go and vote right now!